After reviewing several applications submitted for our annual scholarship competition, the Fort Financial Scholarship Committee has selected Emily Garver and Mikhail McCowin as this year’s scholarship recipients. Emily will be enrolling at Indiana University while Mikhail is returning to the University of Saint Francis. 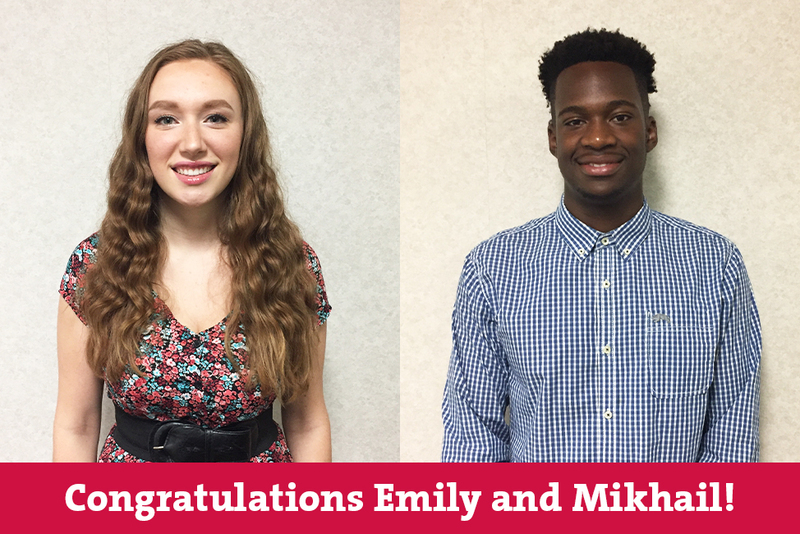 Fort Financial congratulates Emily and Mikhail on their selection and appreciates the time all students took to complete their scholarship applications.